Opening the door into niche perfumery is like discovering a new world. The scents are unlike anything in the mainstream market. The fragrances are generally made of quality ingredients and sport a higher price. Whether that price is justified is up to the buyer to decide. 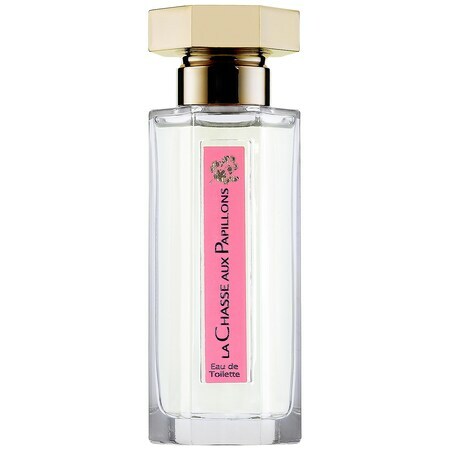 My first step into niche was through L’Artisan Parfumeur’s La Chasse aux Papillons. Its scent is beautiful – a white floral centred around tuberose. Orange and lime blossoms are easy to distinguish, intertwining to give lift to the composition. A hint of jasmine adds depth. Overall, it smells somewhat of tea. La Chasse aux Papillons is definitely a spring or summer scent to be worn during the day, as its tenacity and projection are simply too week for special night-time occasions. It only lasts a maximum of 1.5 hours, which I think is unacceptable for a niche scent with such a price tag. The sillage is minimal, the fragrance clings to the skin. Although La Chasse aux Papillons has a wonderful scent, its low longevity makes it as disappointing as some mainstream fragrances. I’d rather invest in a quality mainstream from Chanel, Dior, or Guerlain rather than spend on a short-lived niche. Being a person who values a product and not the packaging (unless it directly affects the product, like a mascara brush, for example), I despise products that are marketed as expensive because of their presentation. People are attracted to packaging (as am I), but what really matters is what’s inside the cardboard, plastic, glass, or polymer. In terms of the product itself, its value is a reflection of its materials – quality ingredients most likely result in a quality product (although not always, but the ingredients make their mark), and the end result can only be as good as its parts. The bottom line is: put bad in = get bad or worse out. Sophisticated & Sensual seems like a nice scent, but smell carefully. What promises to be an elegant floral is a stripped copy of Miss Dior (Cherie). A nice base of sandalwood synthetics is clear from the beginning, with unblended lily and magnolia hovering on top, screeching with their sharpness. The overall scent is not atrocious – it smells synthetic and unpolished, but it’s still a wearable floral. Its longevity of roughly 2 hours doesn’t help it, however. Sillage is moderate, hovering near the wearer. Sophisticated & Sensual is a cheaper-smelling fragrance, neither being sophisticated nor sensual, for the price of a much better scent. It can be used as a base for the creation of a personal fragrance on Aromachology’s website, but with their lack of quality, I pass. Aromachology Sophisticated & Sensual Eau de Parfum Spray: 3.4oz (100ml) for C$120.00 @ Sephora.ca. I found this when I was having a difficult time trying to find a fragrance that I liked. I found Versace to be a nice, soft floral and it reminded me of my aunt. I also noticed that it was oilier than most other fragrances at department stores. I used to put fragrance in my hair at the time, and I knew right away that this wouldn’t be a good idea with this EdP. Versace is a floral through and through. Guava opens with lemony effervescence, joined by lilac, jasmine, and orchid floating on a pond. I don’t experience much of a drydown. The midnotes stay on the skin, the aquatic flowers slowly fading as the day passes. Versace is more tenacious than other fragrances in the fruity floral genre, lasting 6-8 hours. Its sillage stays in the vicinity of its wearer, about arm’s length, but not too close as not to leave a trail. This is definitely a daytime fragrance best worn in the spring. The reason I liked Versace EdP was because it was simple, feminine, unobtrusive, and very likable due to its lack of character. Today, I want a fragrance to have personality, tonalities, and perhaps even imperfections. I want to remember and to be polarized one way or the other. Not so with Versace. I do recommend it for the workplace and for young ladies looking for something more sophisticated than the ubiquitous offerings of today’s fragrance counters. Versace Eau de Parfum Spray: 30ml for £30.79, 50ml for £43.59, 100ml for £58.80 @ Escentual.com.